Rich, all natural solid hardwood reflects the timeless beauty of nature in our Westland China Display Case with four large, full length drawers. 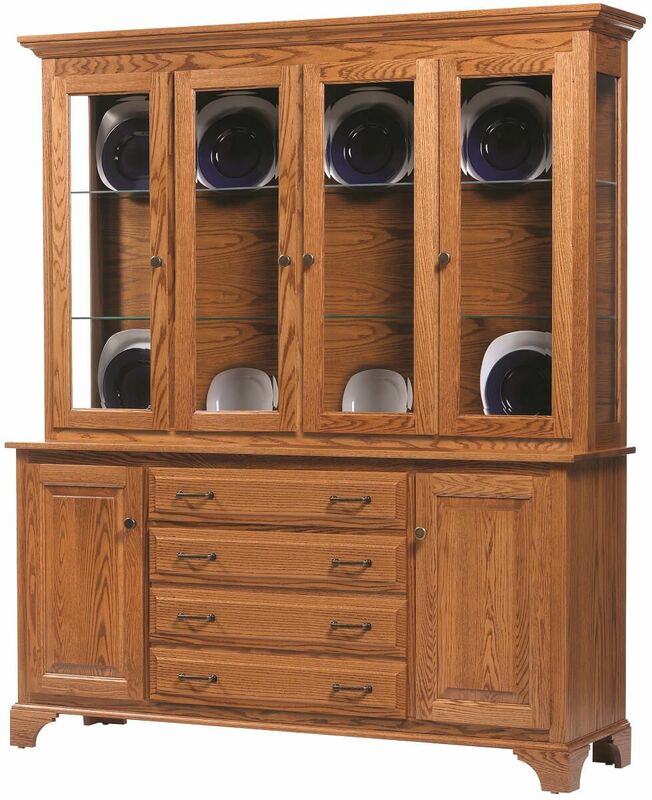 Bold and robust, this Amish 4-door Westland China Display Case features full length beveled glass doors in the hutch top, along with plate grooved glass shelves and recessed lighting. Generous portions of natural solid wood have been expertly handcrafted into the solid wood traditional raised panel doors and drawers, which are dovetailed for strength, and mounted on full extension, soft close slides for your convenience. Experience the quality and value of Countryside's Amish furniture by personalizing your Westland China Display Case. Shown in Oak, your hutch can also be crafted in Brown Maple, Rustic Cherry, Cherry, Quartersawn White Oak, or Maple.